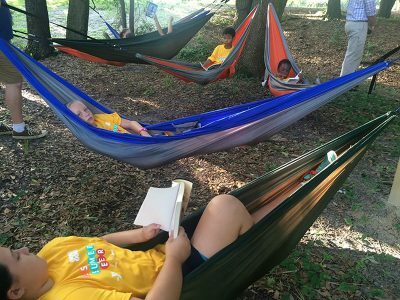 They put down their cell phones and tablets, swim in the lake, race across the zipline, splash in the pool with new friends or dabble in art. 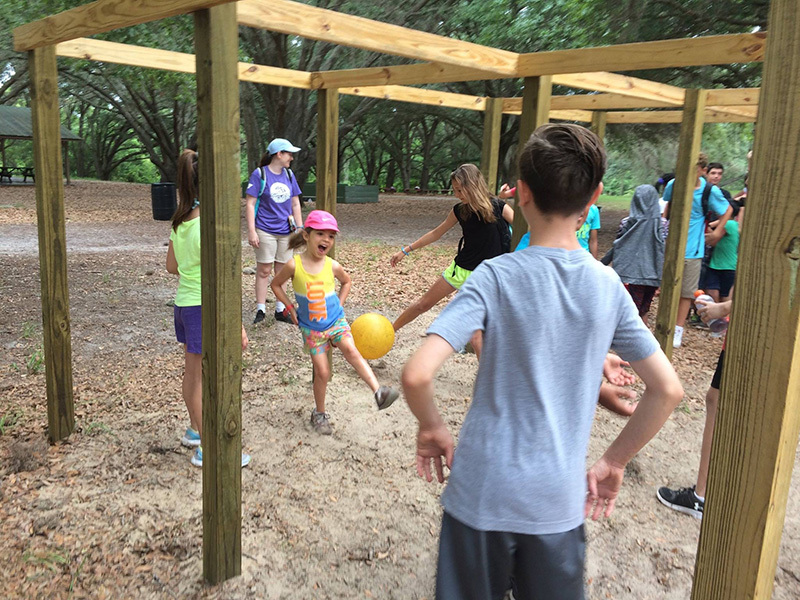 Camp Cristina, the 65-acre YMCA camp in Riverview, is currently hosting about 440 kids each week for day camp and numerous specialty camps, all meant to help youngsters focus on their social skills, while getting some fresh air and exercise at the same time. “We have your traditional day camp for first through eighth grade and we have specialty camps like horseback riding, fishing camp, high adventure camp and Artrageous Camp,” said Camp Director Mark Battig. “We also have Camper versus Wild camp, which is outdoor-living skills, like Bear Grills meets summer camp,” he said, referring to a popular cable television series. Artrageous Camp focuses on drama and Kids in the Kitchen teaches young ones how to cook. There is also a Paint Ball specialty camp. Each week, Camp Cristina has a different theme for campers. “For instance, we had Galaxy Galaxy Far Away with a Star Wars theme. With some of the theme days, we try to stay current, but it’s also an opportunity for kids to kind of get away from the phones and gaming consoles and spend time with other kids where they actually do things with kids and build friendships. It helps increase their social skills,” Battig said. A typical day starts off with meeting the counselors and playing games, then a morning assembly to energize the campers, Springer said. One group heads to the pool or lake, while another group may go horseback riding, ziplining or enjoy other outdoor activities. There is also a rock wall, a challenge course and a vertical playground. Breakfast and lunch are included in camp, but campers also have the option of bringing their own lunch. Camps range in price from $145 to $195 per week, depending on the camp and YMCA membership status. “But we don’t say ‘no’ to anyone,” Springer said. Scholarships are available for low-income families.